Like the right pair of jeans and the perfect white T-shirt, solid hijabs are wardrobe staples that never go out of style. Our curated color collection empowers you to go bright and bold, delicate and flowy, or somewhere in-between. Choose from our popular non-slip jersey and lightweight chiffon fabrics, perfect for running a meeting or running to Target. Introducing our New Kuwaiti Waffle Print Cotton Hijabs and wraps in beautiful neutral and basic colors, and such an amazing fabric! A beautiful pale grey hijab that should be added to your collection since it's one the easiest colors to mix and match with! 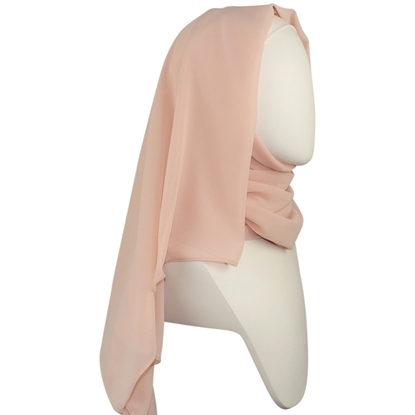 These hijabs are popular for their softness, breathability & elegance. An all year hijab wrap, seriously! Hemmed edges for extra durability. These waffle printed Kuwaiti hijabs can be worn for work, outings, and really for your everyday wear!